For more than 45 years, Schiff served as the Boy Scouts of America's national Boy Scout Training Camp (1933 - 1979). Today, Schiff embraces its rich scouting history and works with all individual scouts and groups to fulfill badge requirements, Eagle Scout, Girl Scout Silver, and Gold Award projects. Our preserves are ideal for exploring scouting concepts rooted in ecology, environmental science, and the natural world. All programs include hands-on activities, games, and trail hikes. "I spent six weeks at the Schiff Scout Reservation back in 1984 attending the 260 District Scout Executive Training Program. It was a wonderful experience and I will never forget it!" Schiff is pleased to offer the Scout Badge Program to Cub and Girl Scouts in their pursuit of several of their nature related badges. The Schiff Scout Badge Program is offered for both cub scouts and girl scouts. Our experienced environmental educators are prepared to deliver the content and experiential requirements as listed below for each badge program offered. Lesson plans have been tailored to take advantage of the biodiversity, wildlife, and terrain of the Schiff Nature Preserve. Interested Troop leaders are to contact Schiff with an inquiry as to date/time of a requested program. Once the date/time isselected, the Troop leader is to complete the Scout Badge Program form and submit payment to secure the program. Scout Badge Programs will occur outside except in dangerous conditions. In the event of extreme weather, a rain date will be used. *If there are badges and/or specific individual requirements Troop leaders are looking to fulfill that are not listed here, please contact us for further assistance. We may be able to accommodate your request. Rates: $80 covers a maximum of 15 scouts for 1 1/2 hours. Troop leaders and adult chaperones are free. Dates/times: These programs are typically conducted during the afterschool and weekend hours. “Rain” dates are established when requesting dates/times. Cancellations: Cancellations and rescheduling requests must be communicated in writing within 48 hours for partial refund (minus $20 administrative fee). What to Bring: Scouts should come dressed appropriately for the weather of the season, prepared to enjoy the outdoors rain or shine. Scouts are to bring water and wear closed toe shoes. For more information and to schedule a date call: 973-543-6004 or contact us at . "Thank you, thank you! The girls had a terrific time today! They learned so much (including me!). My daughter told my husband facts she learned all throughout the night. I really appreciate all the time and knowledge you shared with our troop." Backyard Jungle: Through exploration scouts will discover the diversity of living things all around them. On a hike, we will search for animal signs, identify birds, and listen for sounds of nature. Scouts will leave with an action plan on how to be helpful to the plants and animals in their habitats. 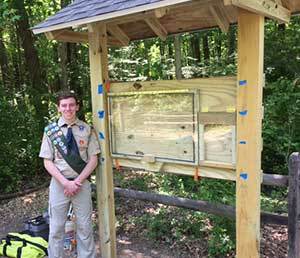 *Program does not include the building ofÂ a birdhouse with scouts - we do provide "how to" plans. Tigers in the Wild: Learn how to be a safe and respectful hiker through planning and preparation. Tiger scouts will learn to identify three plants, animals, and trees that call the Schiff Nature Preserve their home. * Program does not include having a campfire or conducting skits/songs with scouts. Paws on the Path: Together we will discuss the essentials of a safely planned hike before hitting the trail for a 1-mile hike. Scouts will discover secrets of nature and learn to identify birds, insects, and animals. Finding Your Way: Using a map and compass is a basic skill for all scouts. Through a variety of activities, Wolf scouts will practice their navigation skills. * Program does not provide nutritious snack or help locate where the snack came from on a map with scouts. Fur, Feathers, and Ferns: Through visiting the area in and around the Schiff Nature Preserve, scouts will learn about extinct and endangered species. Together, we will observe and identify plants and wildlife on a hike. * Program does not include the planting of a vegetable/herb garden with scouts- we do visit a garden. Webelos Walkabout: Scouts will learn to be safe and respectful hikers through proper planning and preparation. On a hike we will identify poisonous plants and discover the animals who share our forest. Into the Wild: Scouts will explore ecosystems by hiking through the various habitats of the Schiff Nature Preserve and observe its many inhabitants. * Program does not collect and care for an animal with scouts. * Program does not set up an aquarium/ terrarium with scouts. * Program does not observe birds in our area for one week with scouts - we do look for birds on our hike. Into the Woods: Trees are a necessity of life. On a hike, scouts will learn to identify trees and plants, explore their various uses for humans and the animals of the forest. * Program does not plant a plant with scouts - we do discuss how to plant a plant and care for it. 5 Flowers, 4 Stories, 3 Cheers for Animals: Birdbath Award: Daisy Scouts will work toward their Birdbath and Red Robin Award by learning to care for animals. Lesson will explore the basic needs of animals and how people can provide for them. Senses: Brownie Scouts will learn to explore the natural world using four of their five senses. A hike and activities will utilize our senses to experience nature at Schiff. * Program does not include the taking of a taste test. Bugs: Participants will understand the importance of insects to our world and all the functions they perform. On the bug hike, scouts will see these six legged critters in action, explore their homes, and learn the different jobs bugs perform. * Program does not include the drawing of a bug poster. Hiker: Through activities and a hike, scouts will learn how to be best prepared for a safe, responsible, and enjoyable experience on the trails. * Program does not include the packing of a snack for energy. Animal Habitats: Scouts will explore the world of wild animals, their habitat needs, and how they can help protect the wildlife in their own world. * Program does not include the creation of an animal house. Trailblazing: Learn how to be a safe and respectful hiker through planning and preparation. Scouts will learn how to read trail blazes, how to read maps, know different ways of finding direction, and the basics of using a compass. Night Owl: Scouts will explore the natural world after dark and expand their knowledge of the nocturnal animals at Schiff with a hike and activities. * Program does not include the meeting of people who work night hours, nor hosting an Extreme Nighttime Party. Trees: Get to know trees from the shade to the science, the fruit to the forest. Girls will understand the diversity of trees at Schiff and the wildlife that call this habitat home. * Program does not include the making of a creative project starring trees. Schiff proudly works with numerous girl and boy Scouts annually in the pursuit of environmentally themed projects Gold Award and Eagle Award projects. The ideal candidates are not afraid of getting dirty, are committed to the environment, and seek to complete a project that will support our preserves and enhance our natural local habitats. For more information or to schedule a scout program or project, please call Schiff Nature Preserve at 973-543-6004 or email us at: . "My son attended several of your summer programs a few years back when he was a Cub Scout. He is in Boy Scouts now and busy earning his Star Rank which requires community service hours. When I asked him where he wanted to volunteer, he said proudly Schiff Nature Preserve." Project Overview: Working with Schiff personnel, compile the correct wording for four (4) weather proof signs to educate the public on the purpose/use of a deer exclosure (and install to all 4 walls of deer exclosure fence) at Schiff Nature Preserve, outsource the creation of the signs, and plan for installation to the fence. Project parameters need to be discussed with and approved by Schiff. Cost and time commitment is low to moderate, including the purchase of weather proof signage materials consistent with other Schiff signs. Project details: The initial project work can be completed at home; compiling research and wording for the signs. Once the wording and sign design is approved, the volunteer leader would outsource the development of the sign. Fundraising might be needed to complete this project. The volunteer leader would work with the Schiff Land Steward and Volunteer Coordinator on this project. Project Overview: Mt. Paul Preserve is located on 80 acres in Chester at the old shale quarry just off Route 24, on Mt. Paul Road. 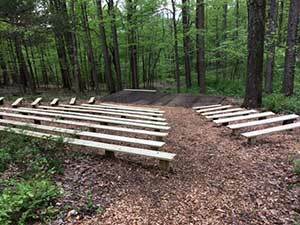 To improve upon our visitor's experience, the preserve is in need of extensive trail work, the building and installation of benches, foot bridges, and picnic tables. Project details: This is a large project and may be reduced to smaller portions, depending on the skill level, time commitment, and financial support available to the volunteer leader. 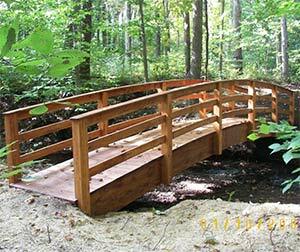 The trail benches, foot bridges, and picnic tables, need to be sited and built. All designs require Schiff approval. The volunteer leader would work with the Schiff Land Steward and Volunteer Coordinator on this project. Project Overview: A few latrines on Schiff's property are falling into disrepair. 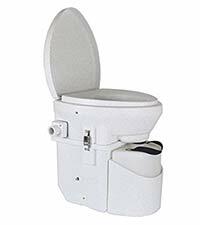 Some need to be demolished (including an old shower house); others need to be refurbished or replaced with composting toilets to comply with sound environmental practices. Scouting organizations and school groups stand to benefit the most from this project, since the latrines are located adjacent to Woodbadge Lodge, an environmental education outpost; and are accessible from key historic points of interest along our trails. Project details: This is an advanced project and is best suited to well-organized groups. The project volunteer leader has an opportunity to do some significant fundraising, and to learn environmental best-practices and guidelines for waste management. The volunteer leader would work with the Schiff Land Steward and Volunteer Coordinator on this project. Project Overview: With more than 700 acres under management, Schiff's biggest challenge is combating invasive plants. These non-native species are responsible for choking trees and disrupting bird sanctuaries and many other wildlife habitats. Schiff has a long-term forest stewardship management plan in place, and reducing these invasive plants is a top priority. Asiatic Bittersweet Vine is a particular threat because it strangles and kills host trees. Japanese wine berry plant can be hand pulled and/or the berries be harvested to reduce the seed population. Project details: This project is suited to a volunteer leader who can bring in and organize other volunteers. Basic equipment, including good gloves, safety glasses, clippers and shears, is needed. This is a complex task and includes learning to identify non-native plants. Financial commitment is low. The volunteer will work under the supervision of Schiff's Land Steward and Volunteer Coordinator. "Thank you so much for having programs like this for children and adults to learn about the wonders of nature." If you are interested in overnight camping, please contact .